From Goodreads.com: "Beautiful and mysterious, this debut novel follows a priceless violin across five decades-from WWII to Stalinist Russia to the gilded international concert halls of today-and reveals the loss, love, and secrets of the families who owned it. In the present day, orchestra conductor Rafael Gomez has seen much in his time on the world's stage, but he finds himself oddly inspired by the playing of an aspiring violin virtuoso, a fantastic talent who is only just fourteen. Then the boy, Daniel Horowitz, suddenly refuses to play another note, and Rafael knows he'll do anything he can to change that. When he learns the boy's family once owned a precious violin, believed to have been lost forever, Rafael thinks he might know exactly how to get Daniel playing again. In taking on the task he discovers a family story like no other that winds from World War II and Communist Russia all the way to Rafael's very own stage." "The Keeper of Secrets" really is a story about a family and what brings a family together. I love reading about families and the ties that bind them. This book also involves a priceless violin and while I was never really good at playing any instruments (I failed at playing the flute and the piano), I appreciate the ability of music to bring people together. Add some great historical detail and you have a fantastic book that will keep you engaged. I really enjoyed reading about the family at the center of the book. It was so interesting to see them both in the past and the near present. You really feel for Simon and everything that his family goes through. There are a lot of characters in the book and some of the names are the same or similar, which made it a little difficult to keep up (I had to keep referring back to previous chapters to make sure that I was keeping everyone straight. There wasn't just one character that I liked. I wanted to see what happened to all of the characters. 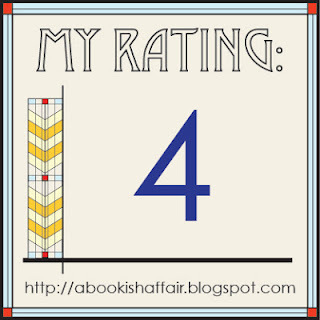 This book takes place in two time frames: late 1930s/ early 1940s in Europe and the mid-2000s. I really enjoyed reading both the story set in the past and the story set in the present, which sometimes does not happen for me. 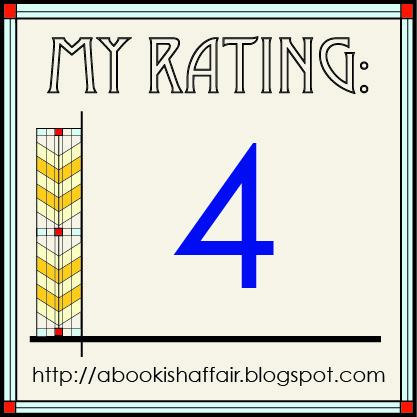 Being a historical fiction lover, I tend to like the story set in the past better. I must also mention that I really liked the scenes set in the Kennedy Center. This is a small thing but I love books that give glimpses into the Washington, D.C. area that don't have anything to do with politics. The Kennedy Center is one of my very favorite places in D.C. Seeing a show or a concert there is truly magical! Overall, this is a great but short historical fiction book for readers who love reading about WWII and families! 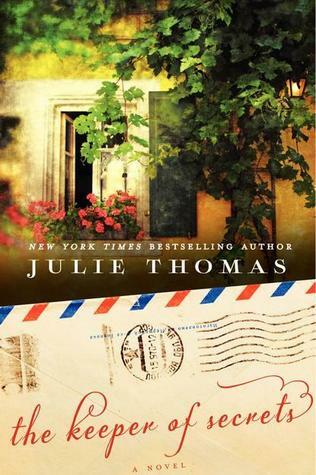 I'm really excited to welcome Julie Thomas here to A Bookish Affair. 1. What is the inspiration behind The Keeper of Secrets? I read a magazine article about a missing 1742 Guarneri violin and that sparked my interest. At the same time I witnessed a discussion between my late sister-in-law (who was a music teacher) and my nephew about playing sport and playing the violin. It created a 'perfect storm' of ideas and I started researching. The more I found, the more passionate I became about the story. I also love music with a passion, including opera and classical, so it was a labor of love! 2. Why do you think that people are so drawn to reading about WWII today? It was an extraordinary time in history for so many nations and so many people. There was so much sacrifice and bravery and good only just triumphed over evil. If it hadn't the world would be a very different place today. The scope of subjects within WWII ranges from the epic and dangerous to the intimate and heartbreaking. With a few exceptions, we can't imagine life under that much pressure and danger and I think people live vicariously through the stories that are re-created, both fiction and non-fiction. Interesting question. I am very fond of Sergei because he is larger than life, but I would have to say my favorite is Rafael. He is the 'moral compass', without him nothing would be resolved and he risks a great deal personally to make it happen. Through him, we travel back in time as the old gentlemen tell him their story and I love his relationship with Daniel, I love the way he talks to Daniel. Simon was the hardest character to write, not just because of what he went through but because of who he became. When Benjamin died I cried for days, but it had to happen. 4. What was your research process like for this book? Long!! Complicated and detailed. When I started there was no internet so I read lots and lots of books. I watched and/or listened to over 200 pieces of violin music so I could describe the piece and how it was played. The characters took on more life as the research filled them in. The Horowitz family in WWII Germany was created through research and the real people I found, men who didn't flee because they believed it wouldn't last long or be serious, people who fled but had trouble escaping, the resistance in Berlin etc. Some of the stories I found would have made a story all by themselves - the people Rachel worked for, the pilots Yulena flew with etc. 5. If you could bring three fictional characters with you to a deserted island, who would you bring and why? Sherlock Holmes, because he could probably figure out a way off the island and he could play the violin for me and entertain me. James Bond, because...well because he's James Bond and there might be something from which I need rescuing and we could drink martinis. Thanks to the publisher, I am able to give away three copies of this awesome book! I do enjoy stories that feature families and how they deal with tough times. I love the sound of this book and the author's story of the long research process it took to write it. I'd love to win a copy, thanks for making one available. now i have to check out the earlier stops of the tour!! I love reading about families and have become fascinated with WWII since talking with my dad at the WWII Memorial in DC. This book sounds intriguing. I'm a huge fan of WWII stories and this one sounds really good! I love this book's concept. Have you ever seen the movie the Red Violin? It kind of reminds me of that a tad. I love WWII books too and would love to read this book. Thanks for the interview! I love the people she'd choose for her island: Sherlock Holmes, Darcy and James Bond. Sigh. O yeah. Ooo… this looks good! Love that cover, too ; ) I always wonder how much power they have over the direction of the design of their book cover. My brother just got into designing book covers and would like to know what he should expect! Thanks for sharing with us and Thanks for the giveaway! I love historical fiction especially if it has anything about WWII. There's a ton a great things in this one book it seems. What a pretty cover. I've been reading a lot of fiction set during WWII recently. It looks like this is one I'll be adding to my list! This looks like a great story, to go on my list. Thanks for your review, Meg.